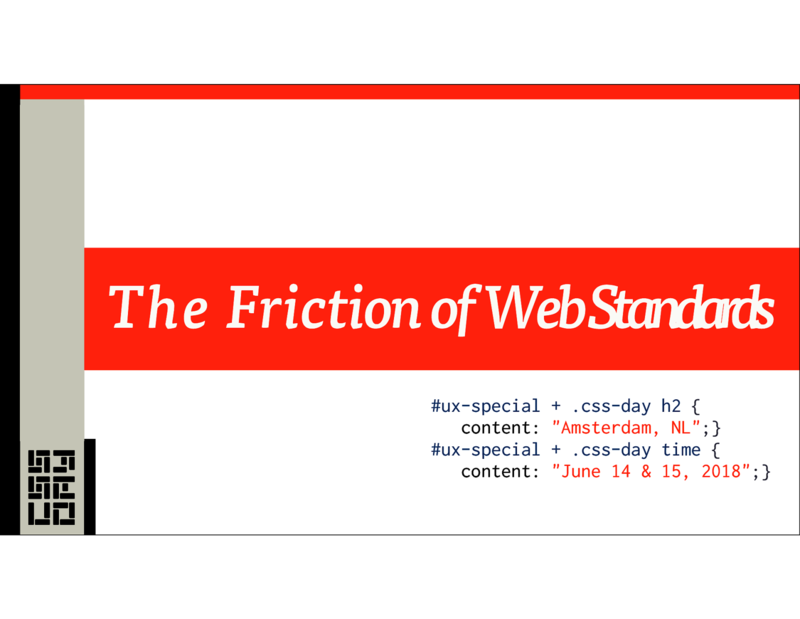 View The Friction of Web Standards on Notist. In March 2017, four major browsers shipped stable, consistent CSS Grid implementations in the span of just three weeks. That's amazing-- but wait, why aren't ALL new feature debuts like that? And why does it take so darned long to ship new features after implementation is begun, like the literal years it took to ship Grid? In this talk, Eric will focus on one of the biggest and least appreciated reasons: the growing friction of specification interaction. He'll not only explore some of the challenges specification authors and implementors face, but also how we all can help overcome that friction and keep the web interoperable.